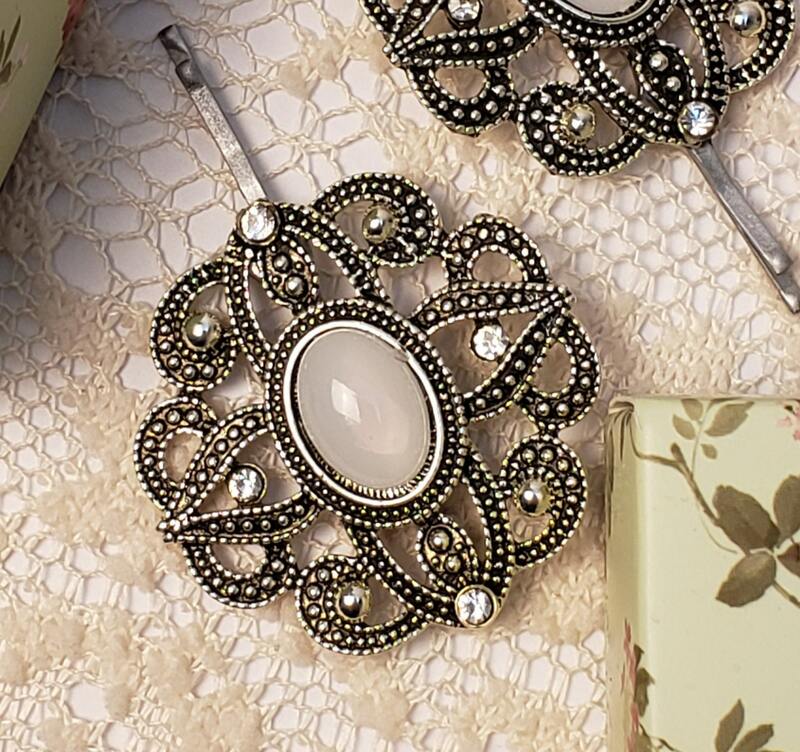 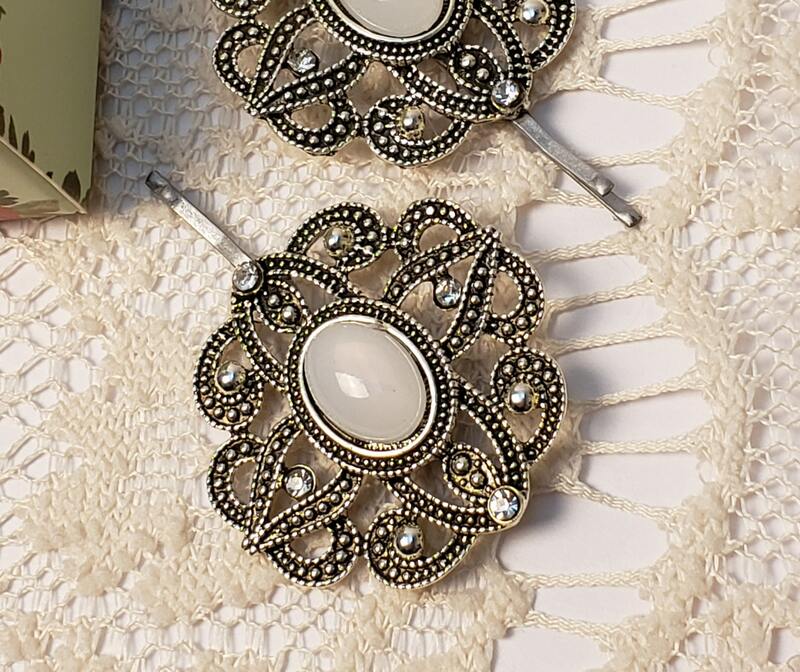 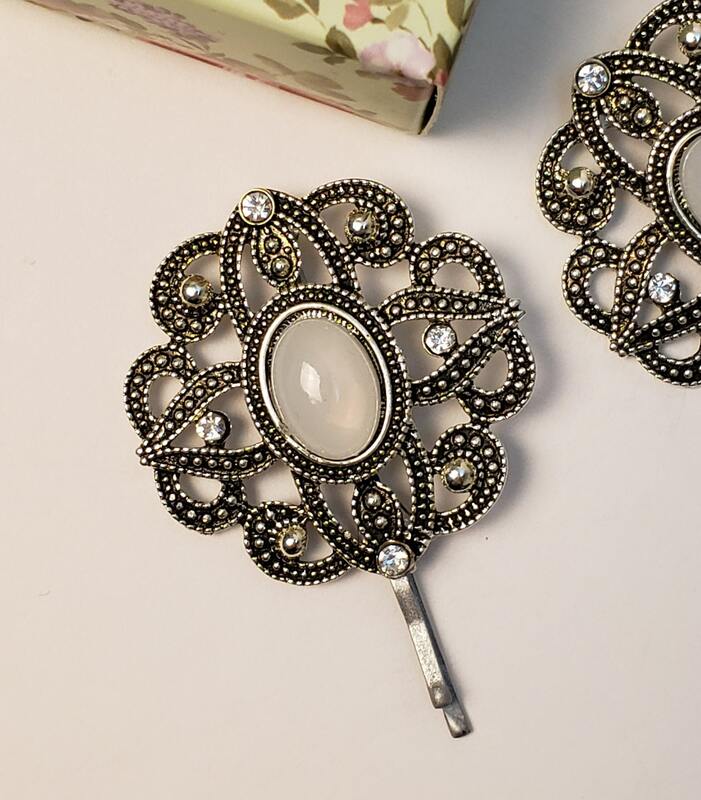 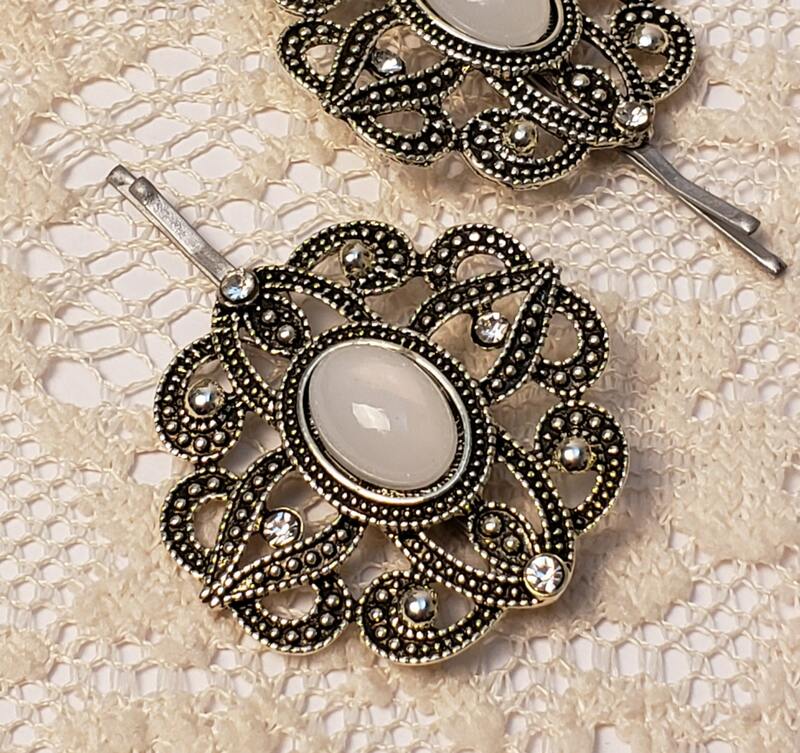 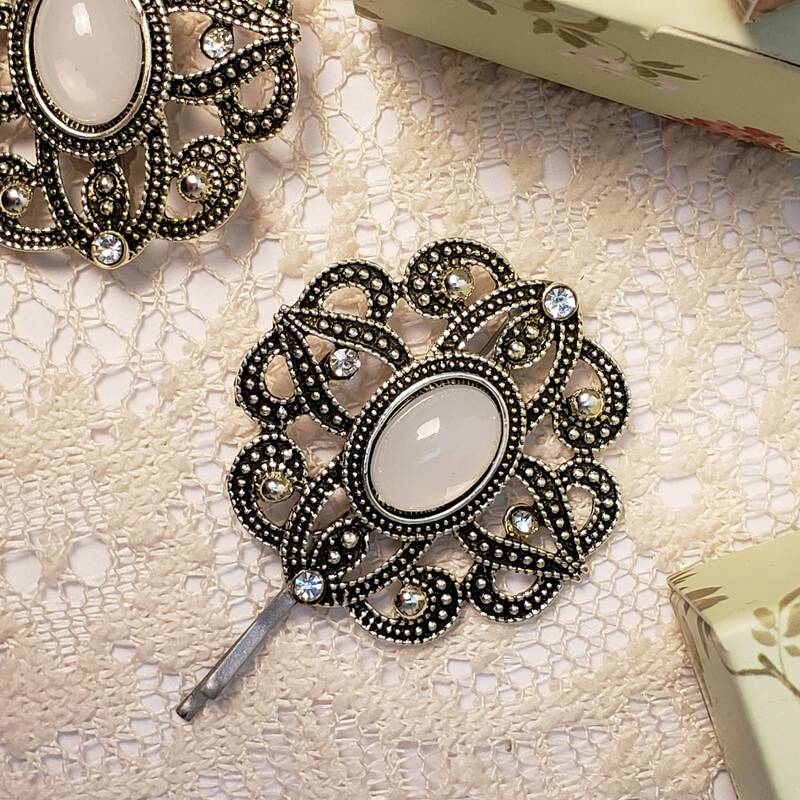 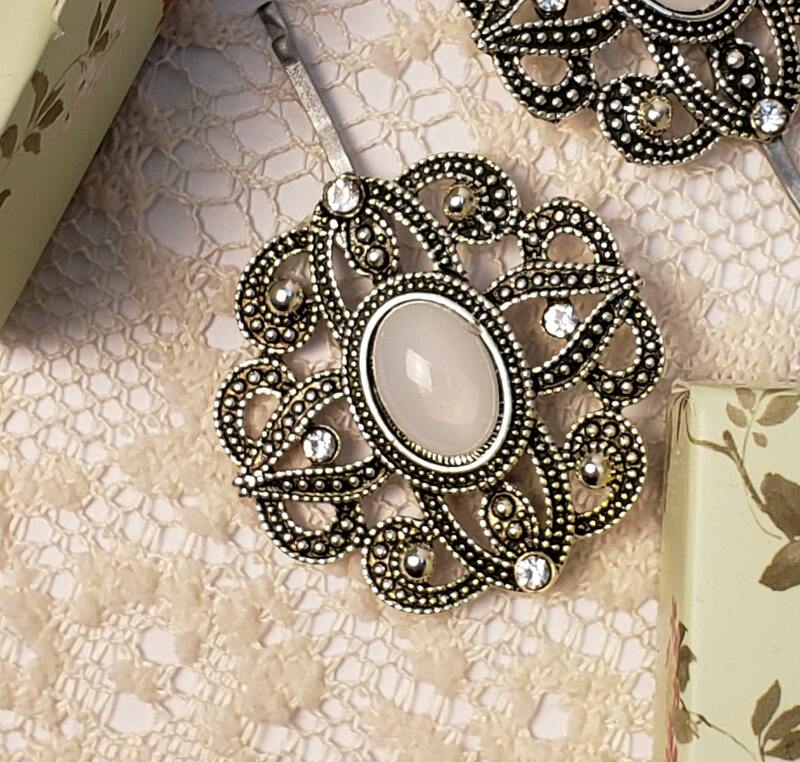 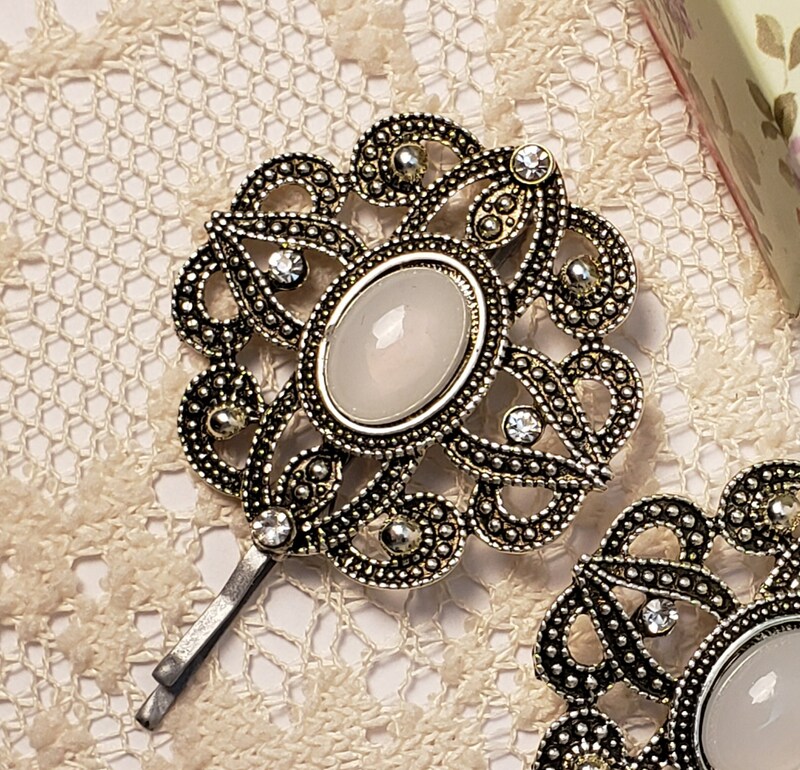 Beautiful floral marcasite tichel pin accented with diamonds and a soft white stone! 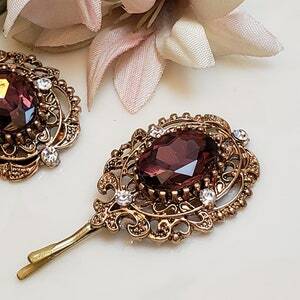 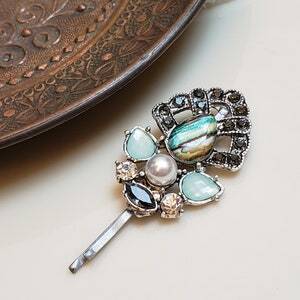 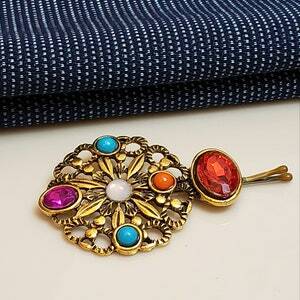 This lovely pin is a beautiful accent to your headcovering. 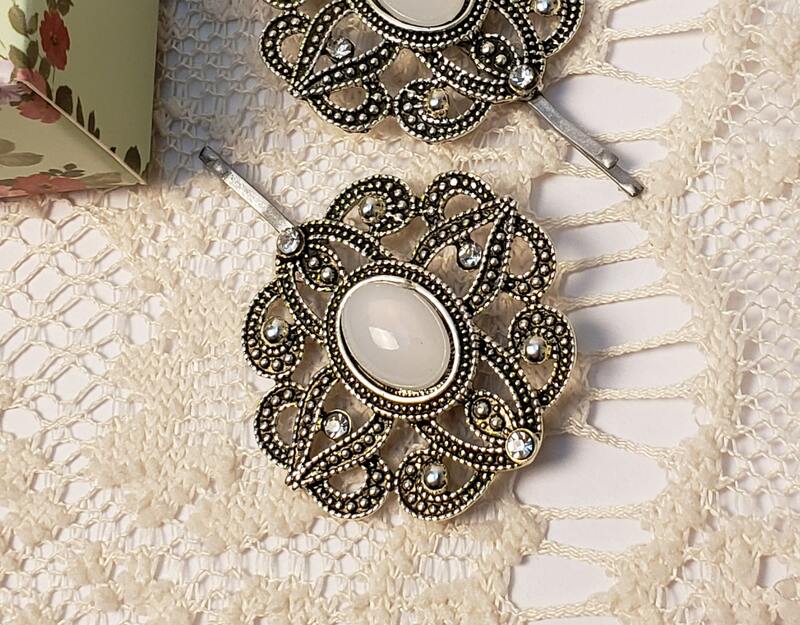 Upgrades your outfit in seconds and accentuates the eyes. 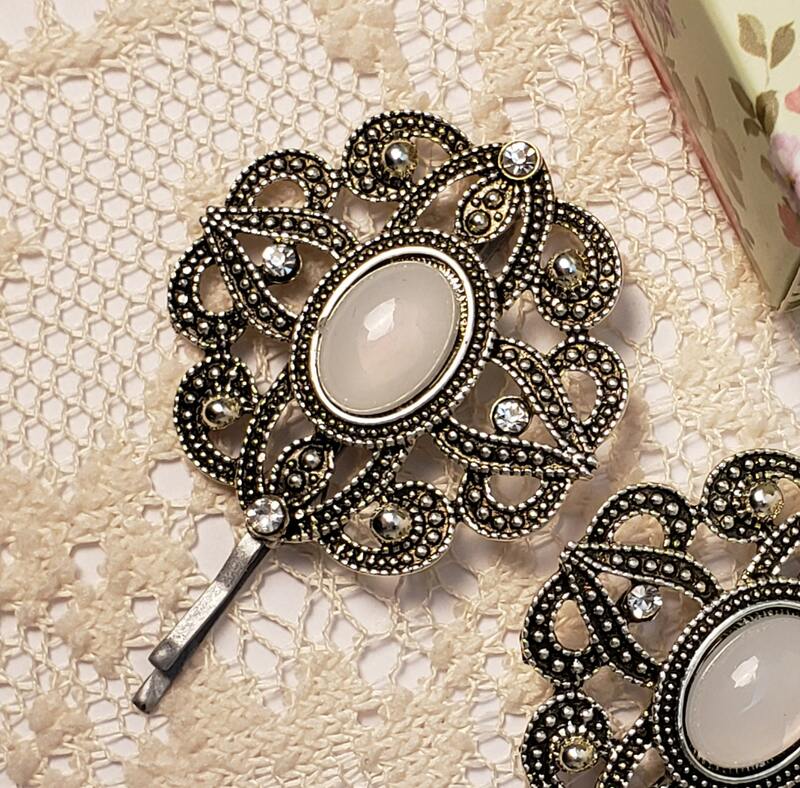 Each pin comes in its own pink drawstring pouch and a beautiful pink and green floral gift box. 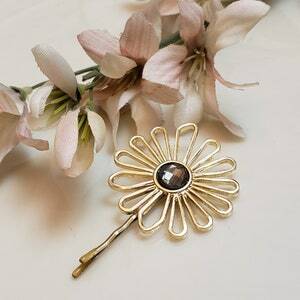 Perfect for storage and safekeeping of your new pin. 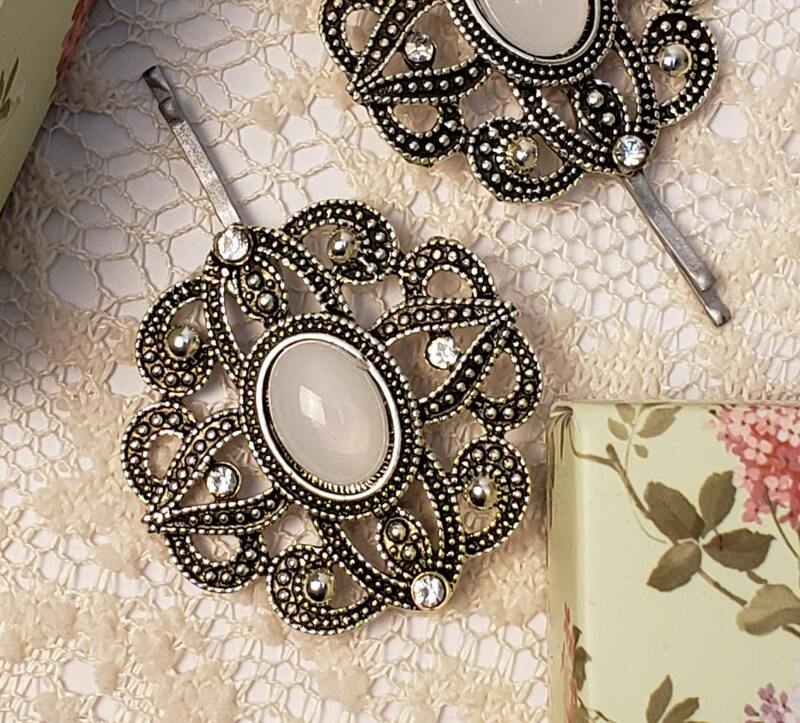 Decoration measurements: 1-1/2" x 1-1/2"